Here you will find valuable information on how Notary Spokane can notarize your documents at a time and place that fits your schedule. Our area of service is Spokane and the surrounding counties. 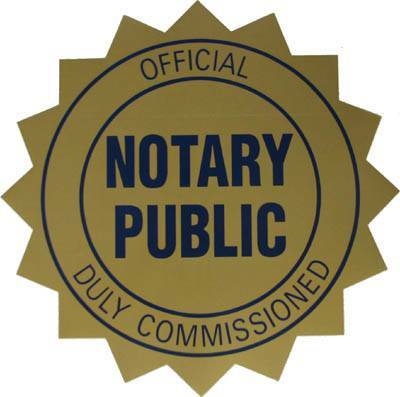 I have been a commissioned notary public since 1998. Please call (509) 482-0660 to schedule your appointment. Scheduling an appointment helps us to schedule notary services at a time and place that fits your schedule. To prepare for your appointment, please read the Frequently Asked Questions. Where does Notary Spokane travel? Hospitals, Assisted Living, Business, Residential, Jails, Nursing Homes, Airports, Coffee Shops. Areas of service include Spokane, Stevens, Lincoln, Pend Oreille, Whitman, and Adams Counties. My name is Gina Cozza. I have been a bonded and insured Notary Public in Washington State for over 18 years. I founded Notary Spokane as a mobile notary service because I understand that you don’t always have the time or the resources to travel to a notary who is stationary and has strict office hours. To meet your schedule, I am available by appointment during the day, evening, or weekend.